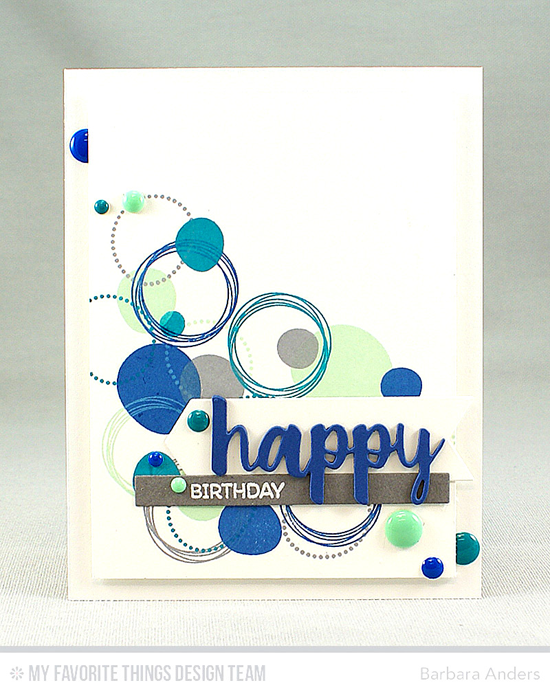 Barbara used the Party Patterns stamp set to feature the colors of Challenge 62 for a festive birthday card. The Blueberry happy paired with a heat embossed birthday complete her card perfectly to meet the challenge. 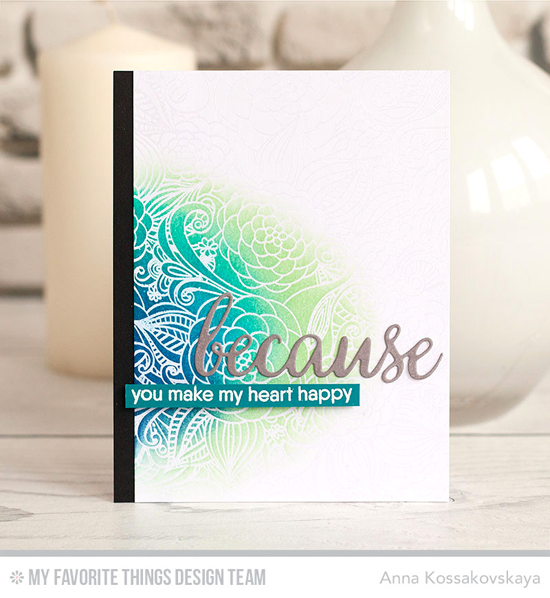 Anna went the route of ink sponging using our Premium Dye Inks in the colors of Challenge 62 to create a lovely emboss resist with the stunning Floral Fantasy Background stamp. The die cut sentiment in Gravel Gray gives a sophisticated air to her design. Jodi's card featuring the quilt dies from Blueprints 20 makes for a cozy design in the colors of the challenge paired with white. I love how she sets it all against a Gravel Gray background dotted with stars from the Tiny Stars Background stamp. 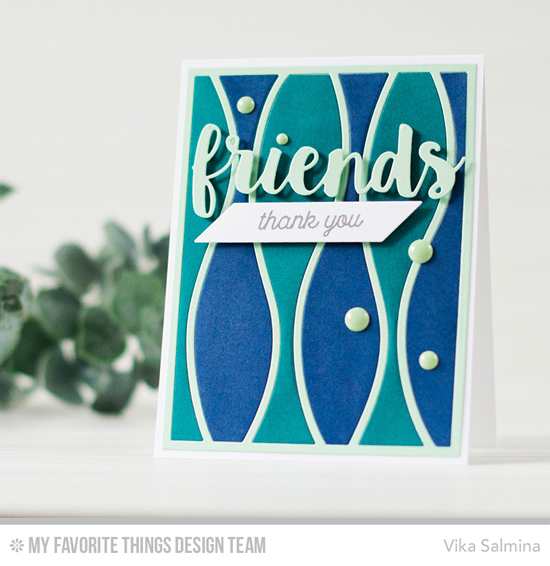 Vika's saturated design is so eye-catching featuring the blues and greens of our challenge all neatly placed in the Horizontal Snow Drifts Cover-Up Die-namics, yet she situates it vertically. It just goes to show that our products are really versatile! You have until Wednesday, February 8th, at noon EST to add your link and be eligible for the prize of up to $20 in MFT Cash. Winners are chosen at random, so everyone has a chance! The prize is a $15 Gift Voucher to My Favorite Things, but if you use MFT stamps and/or dies in your project, you’ll receive an extra $5. Is there a keyword to use or do we just link back here?